Ok people, let's face it, this is not the real world. Hollywood, Los Angeles, Beverly Hills (although I did not spot Milburn Drysdale or Jane Hathaway), Tinseltown. Rodeo Drive, the retail area AND residential area. Million dollar homes, and those are the cheapies. Sunset Strip, The Viper Club. For crying out loud, there was a BMW with a pizza delivery sign on top of it! And as you know this is just the tip of the iceberg. But there is one real world thing here with real world people. 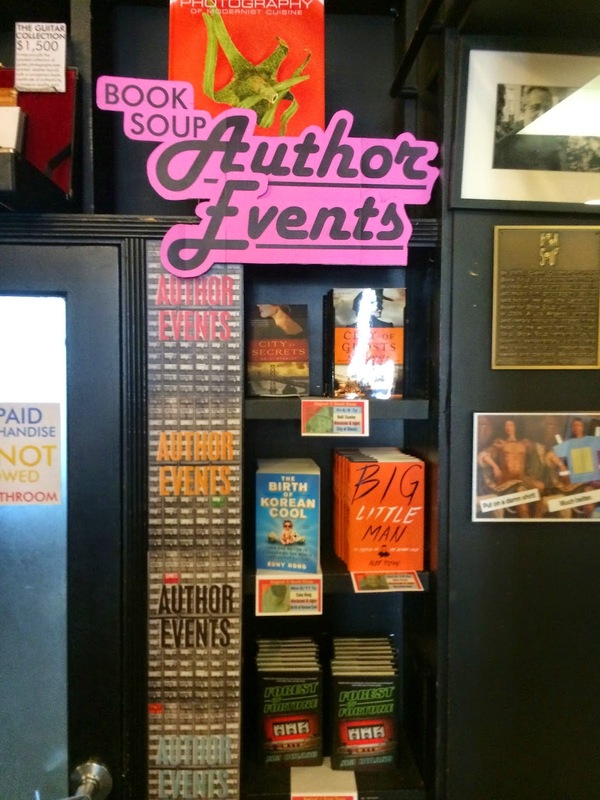 Book Soup on Sunset Blvd. with real people including Jessica, the manager, and Eleanore, one of the staffers. Great people, great indie, and one more place a tourist to this area should visit. This indie has many of the same things other indies have but does it with a Southern California flair. Lots of extras, or sidelines here but uniquely California. I didn't notice any socks or a cat but they have unique clocks, for example. 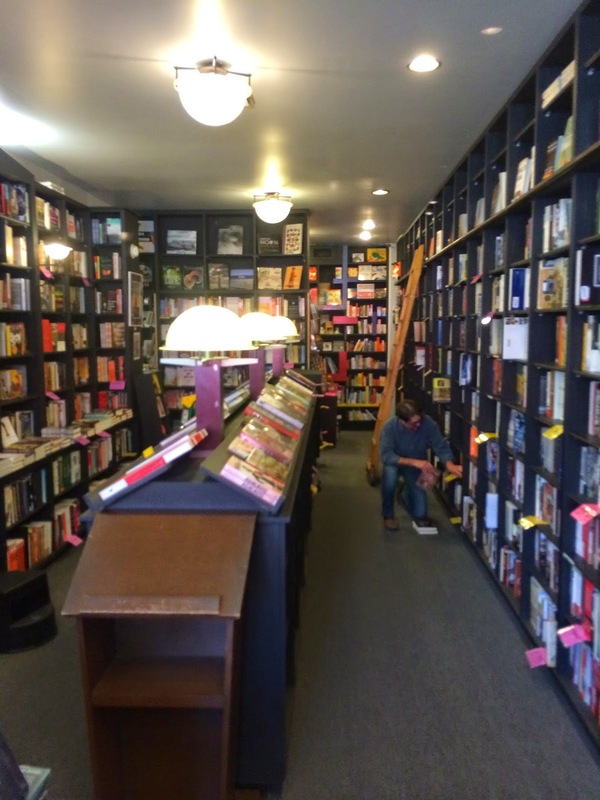 The book shelves are not arranged in conventional aisles, but in more of a zig-zag pattern. Organized? Absolutely. Just organized in a unique manner that made it all so cool. The bookstore has two levels with all the books located on the main level and offices on the upstairs level. Besides books and sidelines, the store also has a good collection of vinyl as this continues to grow again in popularity. 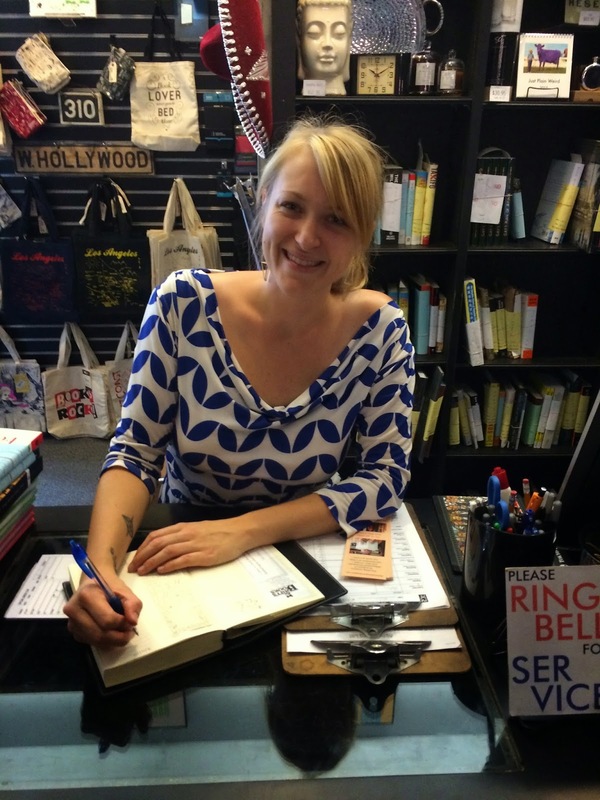 Book Soup was recently purchased by Allison Hill, the president and CEO of Vromann's Books in Pasadena, another very successful and long standing indie. This should help Book Soup enjoy continued growth into the foreseeable future. 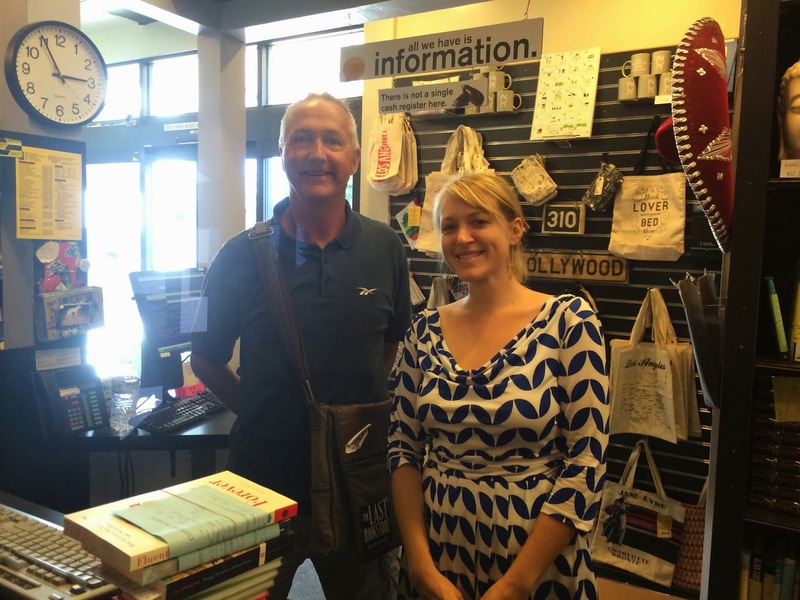 Book Soup is well supported locally as well as with tourists visiting the area. The success enables this indie to offer strictly new books, so there is no book buy-back program here. And as Jessica, the store manager, shared with me, they really don't have the space or facility to offer a used book inventory. This journey I'm on is an absolute blast thanks to meeting great people like Jessica and Eleanore. They were more than generous with their time during my visit and couldn't have been nicer. They also gave me several book recommendations which will go to that ever-growing pile of unread books. This is not a travelblog but understand that however you get to this store, you will be in traffic. Car, taxi, bus, whatever, you WILL get stuck in traffic. But after you get through that traffic, you're going to enjoy a wonderful, real world, independent bookstore in the land of the stars. Who knows, you may even bump into a celebrity there. After all, IndieBob was there! HA! 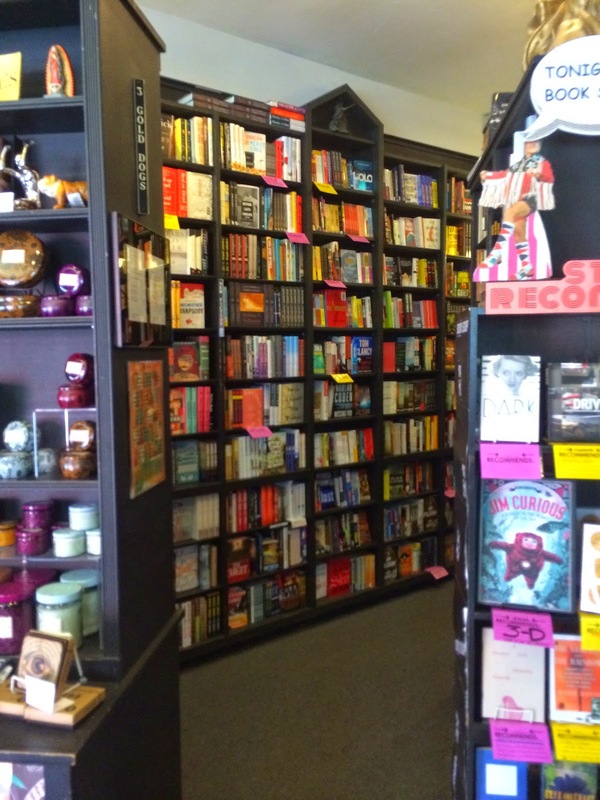 Go to an indie and buy a book. Bonsoir. CURRENTLY READING: The Dinner, Herman Koch. Going good. Sign outside Book Soup. No caption needed! Outside of the store feels like a newsstand. Lots of magazines available outside. My view just inside the front door. My view looking to the left. 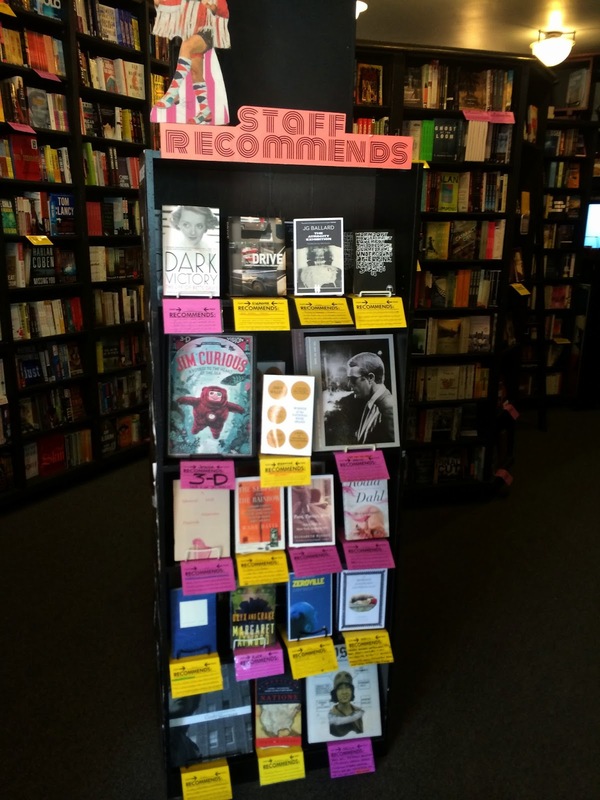 See any staff picks that you've read? Staff picks also among the shelves. 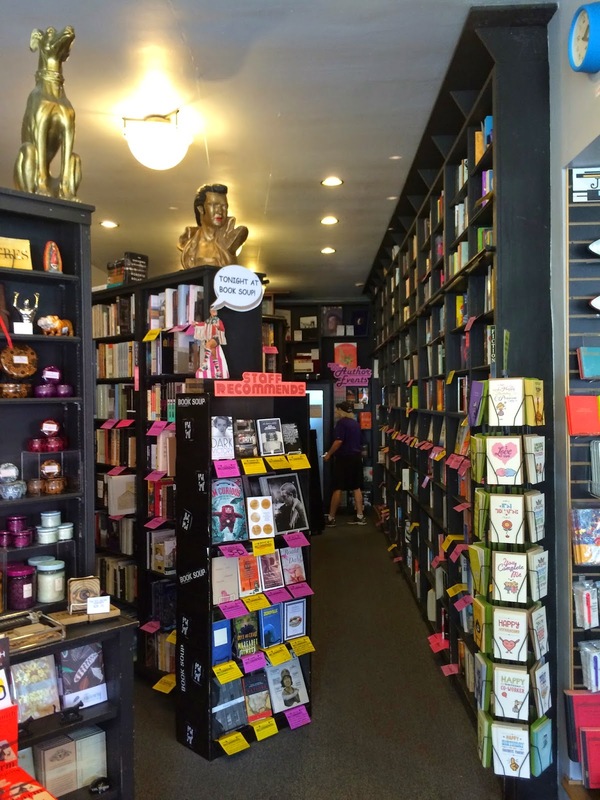 Great inventory of books here. Active schedule of author events. Jessica, the manager, signs my book on my visit. 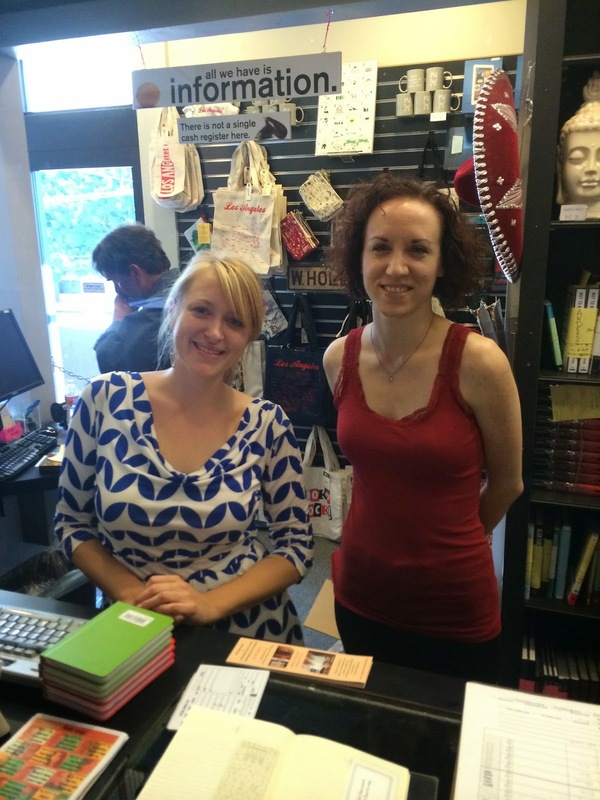 Two of the wonderful people at Book Soup, Jessica, on the left, and Eleanore. Behind every indie there are great people. These are two of the best. Thanks for a SOUPER visit! Any clock, any color, any time. I love the clocks! Thanks for reading and following!